Their Head Gardener had found and contacted me, thanks to that great global garden which is the internet. Would I like him to take me around the gardens? Yippee! A personal invitation - yes please! Most definitely! I grabbed a scruffy piece of paper. Blast - when am I going to invest in a professional looking dictaphone? I told my camera we would both ignore that little red battery symbol. We had serious work to do! First polite enquiries - the Head Gardener was zipping around somewhere on a motorbike towing a trailer, and I'd be able to hear him. There followed some inelegant dashing, scrambling and doubling back along paths, but he was finally caught. It was lunchtime, and he gave me a brilliant, leisurely, informative garden tour. 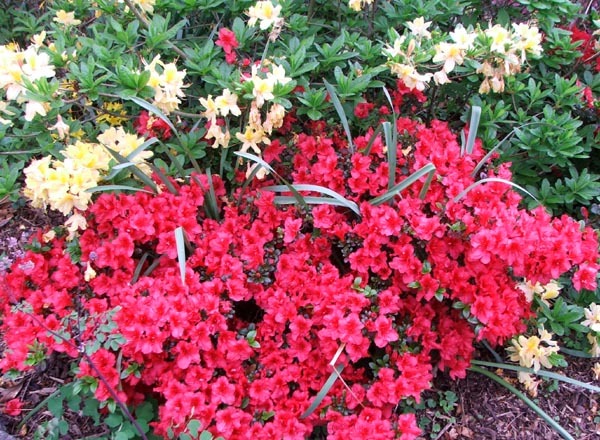 I learnt which Azaleas were first, second, and third generation, and saw many areas were being cleaned up and properly replanted. The role of New Zealand native plants in a traditional ornamental public garden always interests me. Ilam Gardens are comfortably 'bi-cultural'. Large tree ferns and cordylines make a wonderful backdrop, and the gully stream which runs throughout suits native plantings. 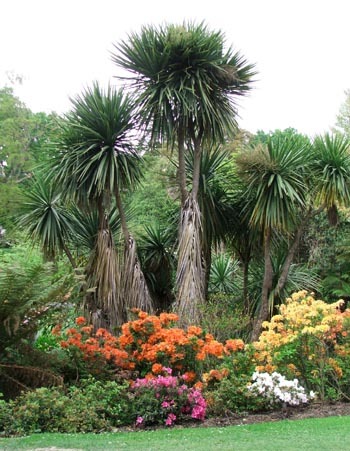 The gardens, which belong to the University of Canterbury, have a colourful and respected horticultural history, but the Head Gardener isn't afraid of change. Seedling Coprosmas, which can totally take over and make an undistinguished mess, are being removed, and many of the old Azaleas have been seriously trimmed. And it's out with the ivy, in with the mulch. And he's jolly brave. 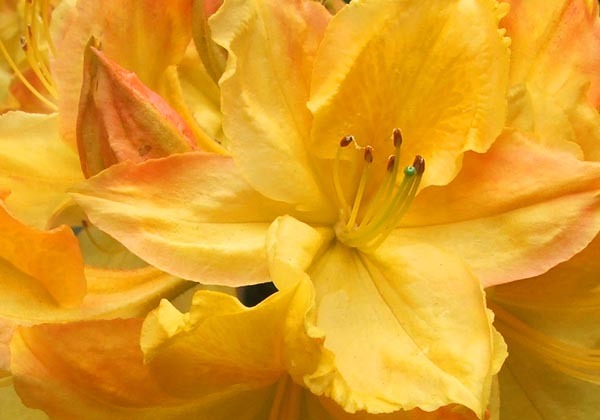 He writes happily to mad old-lady internet gardeners, and has even joined the local rhododendron society. Eek! He taught me something really important. All gardeners need feedback - not just amateurs like me, flapping and pecking my way around my garden like a random old grey striped hen. 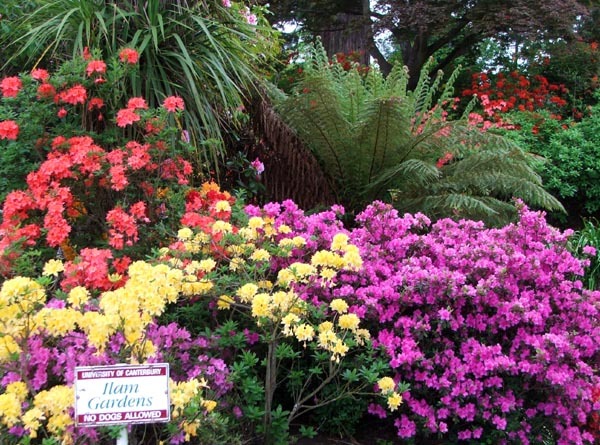 Gardeners responsible for acres of public beauty like to know that someone out there is interested. So next time you go visiting a public garden, leave a note - your compliments to the Head Gardener. And if you're ever able to visit Ilam Gardens in the Azalea season, just follow the sound of that motorbike!